You gave thanks to Khanimation for this post. Khanimation posted this deal. Say thanks! Note , offer valid through April 25, 2019 or while supplies last. 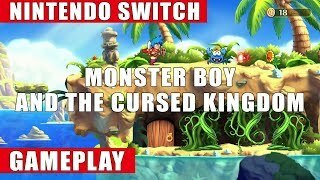 The Switch eShop has Monster Boy and the Cursed Kingdom for 33.99, which is $6 off the normal price. Not a huge discount, but the first discount I've seen for the digital version. Reviews are great. This is an official sequel to the Monster World/Wonder Boy series from SEGA consoles. You gave thanks to jedileroy for this post. jedileroy posted this deal. Say thanks! 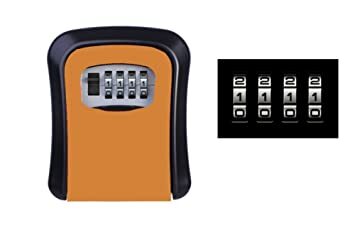 This 4-Digit Key Storage Combination Lock Box is only $16.79. Use code HA39SHA39BCC at checkout on the silver and black models. EXCLUDES LOWE'S VISA REWARDS CARD HOLDERS. LIMITED TIME ONLY. 10% off your Lowe's Advantage Card purchase: Get 10% off your eligible purchase or order charged to your Lowe's Advantage Card between 4/19/19 and 4/20/19. Valid for purchases in Lowe's US stores and Lowes.com. 10% discount will be applied after any other applicable discounts. Offer can't be combined with the 5% Off Every Day offer, Special Financing or any offer that states it can't be combined with any credit discount offer. Can't be used with: any coupon; Lowe's military discount; Lowe's employee discount; Lowe's low price guarantee; Lowe's volume or special discount programs; manager discretion price adjustments; Contractor Packs™; or any other offer that expressly states it can't be combined with any other discount credit offer. 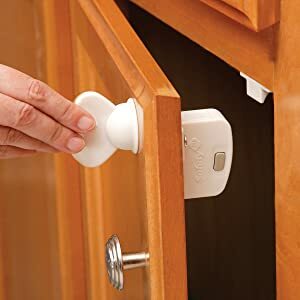 Can't be used with the following products and/or services: extended protection/replacement plans; shipping, delivery or assembly charges; fees or taxes; gift cards; NXR, AGA, MARVEL, Bosch Benchmark, Heartland, ICON, Fisher & Paykel, Monogram, SMEG or Liebherr appliances (some brands not available in all markets/stores); Weber or Kichler products. Offers subject to credit approval. Excludes Lowe's Visa® accounts and all Lowe's Canada Credit products. We reserve the right to discontinue or alter these terms at any time. ◊Subject to credit approval. Limited time only. Get 10% off your qualifying purchase or order charged to your Lowe's Business Rewards Card from American Express, Lowe's Business Account or Lowe's Accounts Receivable between 4/19/19 and 4/20/19. Valid for purchases in Lowe's US stores, on Lowes.com and LowesForPros.com. Customer must pay applicable sales tax. 10% discount will be applied after any other applicable discounts. Offer can't be combined with other credit-related promotional offers (including 5% Off Every Day). Can't be used in conjunction with: any coupon; Lowe's military discount; Lowe's employee discount; Lowe's low price guarantee; Lowe's volume or special discount programs such as, but not limited to "QSP;" manager discretion price adjustments; Contractor Packs™; or any other offer that expressly states it can't be combined with any other discount credit offer. Can't be used in conjunction with the following products and/or services: extended protection/replacement plans; shipping, delivery or assembly charges; fees or taxes; gift cards; NXR, AGA, MARVEL, Bosch Benchmark, Heartland, ICON, Fisher & Paykel, Monogram, SMEG or Liebherr appliances (some brands not available in all markets/stores); Weber or Kichler products. Excludes all Lowe's Canada Credit products. We reserve the right to discontinue or alter these terms at any time. Found these while looking for some cabinet hardware for the new kitchen remodel. Checked and it was a popular deal a while back for a couple bucks more. Steeple Gray color only when I checked. 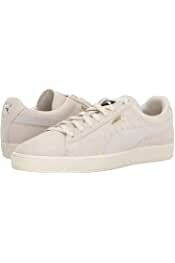 Select sizes only. 9.5 and 10 were available when I tried. $19.95 (which seems pretty cheap already) plus a coupon for $4.99 showed up at time of posting, to make these $15. "Save an extra $4.99 when you apply this coupon"
You gave thanks to extremerider for this post. extremerider posted this deal. Say thanks! *25% Off Coupon Code A1825 valid on in stock items. Not applicable on previously placed orders, custom or special order items, extractors, air compressors, BUY ONE GET ONE, VIP Special, car covers, polishers & polisher kits, vacuums, Kreepstool, FlatStoppers, Shop Air Heavy Duty Drum Fans, vapor steamers, garage flooring, gift certificates, bulk and case pricing, complete wash systems or any item as noted on product page. One coupon code per order. 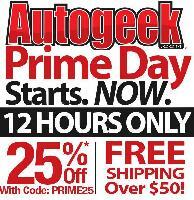 * Free Shipping Over $50 applies to orders with ground service within the 48 contiguous United States. Regular shipping charges apply to garage flooring and mats, air compressors, Race Ramps, carpet extractors and any other items that have additional shipping costs as noted on those products. Regular expedited charges apply. this is an insane deal! You gave thanks to AmusedPocket3583 for this post. AmusedPocket3583 posted this deal. Say thanks! Found this tonight while looking at my past S&S. 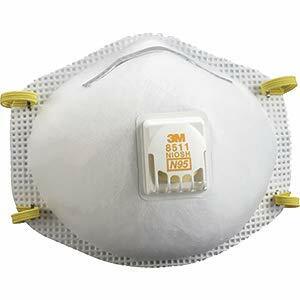 I wear these while working in the yard sometimes to reduce dust intake. The cool flow keeps glasses from fogging. Anyway, the camels show this is a pretty good deal. I bought last time for around $15. You gave thanks to FredZRandall for this post. 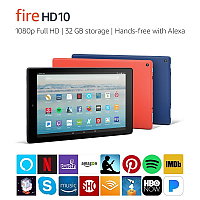 FredZRandall posted this deal. Say thanks! At checkout, choose between the Arozzi Verona V2, which is available in black or green; and the Arozzi Verona Pro V2 (+ $20), which is available in blue/white, carbon black, green/white, orange/white, and red/white. 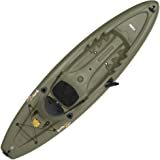 Due to escalated shipping rates, shipping to the non-contiguous US (Alaska, Hawaii, Puerto Rico, and other American territories) is not available for this product. Massdrop is a community driven e-commerce platform that features the best products designed with and curated by trusted enthusiasts. Payment is captured when the drop ends and we then place the group's order with the vendor who prepares it for shipment to our warehouse or directly to the customer. 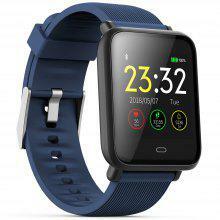 The estimated ship date represents when the product will be shipped to the customer. After your item ships, we will send you an e-mail with a redemption code for a free game download within 7-10 business days with instructions to redeem. Note: In stock on April 26, 2019. Seems to be for everyone this time, not just Prime members. Free shipping. Might be clearing inventory getting ready for a refresh? You gave thanks to Driukas for this post. Driukas posted this deal. Say thanks! is part of "Spend $50 save $10, spend $100 save $25 on select toys" promotion going on at Target. You have to buy at least 2 to qualify! Not the best but also cheaper with Target Red Card! You gave thanks to matthewhsh for this post. matthewhsh posted this deal. Say thanks! Amazon [ amazon.com ] has 58-Count Quaker Chewy Granola Bars Variety Pack on sale for $8.25 when you checkout via Subscribe & Save. Shipping is free . Note, you may cancel Subscribe & Save anytime after your order ships. Select the later date from the "First Delivery On" menu to get traditional S&S checkout instead of adding to your cart. 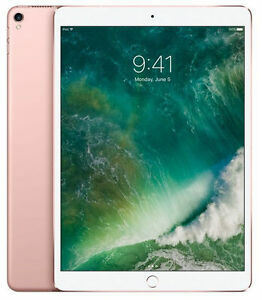 Best Buy is running some good specials on open box items - particularly 2017 iPad Pros. I just picked up a 10.5" model w/ 256GB WiFi + Cellular for just 483.99 + tax. The iPad is in perfect condition and still has the mfg warranty until November. Plus I purchased using AMEX... so I get the extended the warranty and they're offering double points for online purchases at Best Buy. 1% CB at urlhasbeenblocked as well. Hope this helps someone else snag a good deal! You gave thanks to def1ant for this post. def1ant posted this deal. Say thanks! Use promo code EARTHDAY19 to save $30 at checkout through April 22. Free shipping. Be sure to check your local water agency for add'l rebates. For example, $200 rebate through LADWP for each controller. Last year, I got the Gen 2 for $50 ($130-80 rebate). You gave thanks to graffixx for this post. 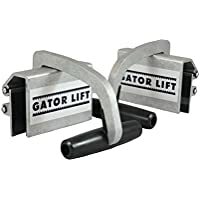 graffixx posted this deal. Say thanks! VMExpress via Newegg has Bestway 31.3'x16'x52" Rectangular Frame Above Ground Pool Set with Ladder & Pump on Sale for $818.99 after promo code: POOLFUN4 . Am I missing something? This appears to be a great deal, previously $1050-1100 on FP (with free games which are not in this deal). Pop in additional 8GB of RAM for $40. This deal is live again. Costco Wholesale.com has Apple AirPods Wireless Headphones w/ Charger (2nd Gen) on sale for $139.99 valid for Costco Members only. Shipping is $4.99. You gave thanks to tamerica for this post. tamerica posted this deal. Say thanks! Carter's has a big sale going on right now. Most bodysuit packs of 4-5 are 70% off and down to $7.80 for a pack. Also, if you spend $40, coupon code OKBG4028 takes off an additional 25% off, bringing the price of each pack down to just $5.85 each! This is a steal for bodysuits and happens just once a year. Other items are on sale at 70% off too. vminnovations [ vminnovations.com ] has Makita 18-Volt X2 LXT Brushless Cordless Blower, Tool Only (Model #XBU02Z) for $ 105 . Discount is reflected in cart; if not, apply promo code MKTA010419 . Shipping is free. Fifty cents cheaper than the previous post and from a more reliable seller. 1st - You need a hub: SmartThings, Echo PLUS, Wink 2 or other compatible ZigBee hub. 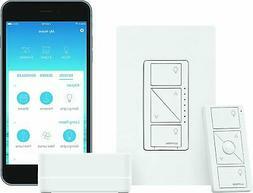 If you don't know if your's is compatible, Google your "hub and ZigBee"
2nd - If you don't have a hub this site and try to find a deal on an ADT SmartThings hub, regular Smarthings hub or search Amazon for this starter kit ( SYLVANIA 71932 SW Zigbee Starter Kit ). 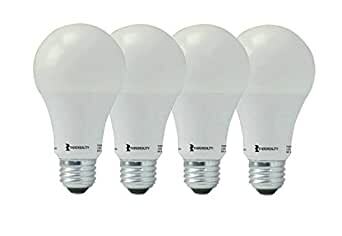 It is the same bulb but it includes a hub, but your better off just buying a SmartThings hub as it is more universal. You gave thanks to techboxz for this post. 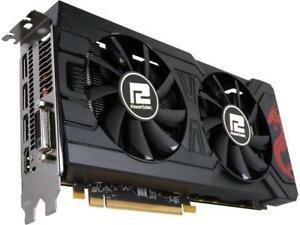 techboxz posted this deal. Say thanks! You gave thanks to TheSheikh for this post. TheSheikh posted this deal. Say thanks! I finally bit the bullet at roughly $217 (including tax). Good luck at grabbing this deal! 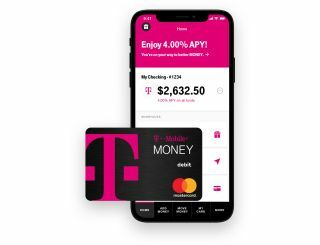 T-mobile Money Checking account 4% APY for up to $3,000 for T-Mobile post-paid wireless customers and 1% APY above $3,000 or for non T-Mobile post-paid wireless customers. Any U.S. resident, at least 18 years of age, with a valid social security number, a valid government issued ID and a street address within the continental U.S. can open an account. Everyone receives an account with no fees, no minimums and 1.00% Annual Percentage Yield on all balances. T-Mobile post-paid wireless customers are eligible for benefits such as earning 4.00% APY on account balances up to $3,000 and 'Got Your Back' overdraft protection when they make a $200 monthly deposit. Comes with a Mastercard debit card. You gave thanks to TheSUPERGIRL for this post. TheSUPERGIRL posted this deal. Say thanks! You gave thanks to oldblackjoe for this post. oldblackjoe posted this deal. Say thanks! * The deal is back for those who missed my other thread from the other day.. Posting again to send out Deal Alerts for those who set DA's for it. Tekton is running a sale on their polyurethane bungee cords and straps for $2 each on orders of $25+ with promo code BUNGEE. These normally go for $6-9 each, are Made in the USA, and have a lifetime warranty. The bungees themselves can count toward the $25 minimum, so an order of 13 or more is all you need for the $2 price. Shipping is free with a Tekton account (free to create). Amazon is currently selling an 8pc set for $42.45. With this deal I was able to place an order of 13 for $26. You gave thanks to metlfan2003 for this post. metlfan2003 posted this deal. Say thanks!